These will fit EVO3, MR and OSCS. 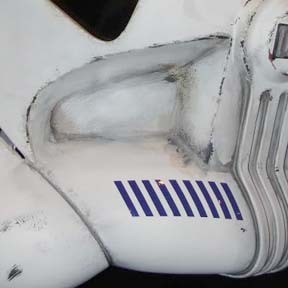 LOW-TACK STENCIL for painting stripes on; also makes weathering them easier. 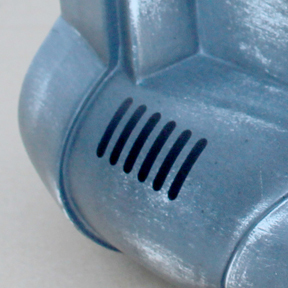 Made with low-tack vinyl mask. 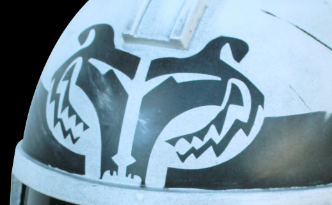 Custom-made to fit Kevin Weir Season 4 Grunt helmet. 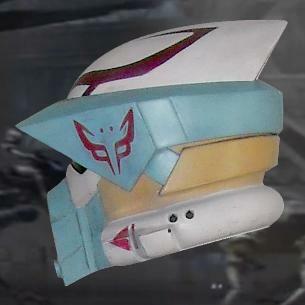 Also fits WCA grunt helmet. Includes left and right application guides. 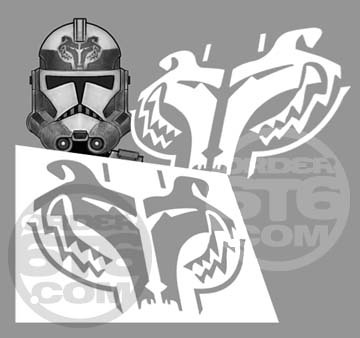 The Wolf Pack was a clone trooper squad in the Grand Army of the Republic's 104th Battalion that served under Jedi General Plo Koon and Clone Commander Wolffe during the Clone Wars. 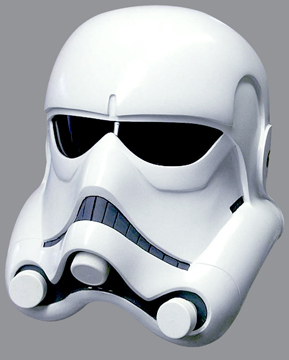 "Kix" was the nickname of a clone trooper medic who served in the 501st Legion, a unit in the Galactic Republic's Grand Army, during the Clone Wars. 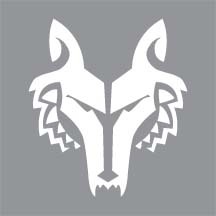 Available as a decal or low-tack vinyl mask. 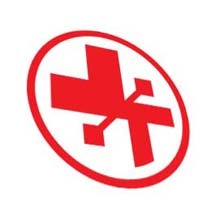 POSITIVE STENCIL: Paint area RED; apply mask to preserve RED; paint WHITE over mask. NEGATIVE STENCIL: Paint RED through mask on WHITE surface. 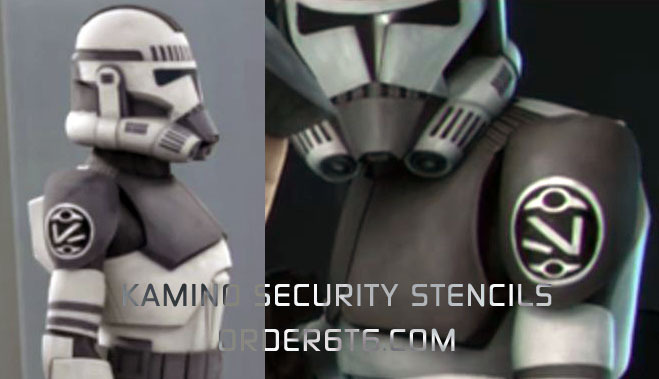 These were clone troopers who served on Kamino under Jedi Master Shaak Ti during the Clone Wars. 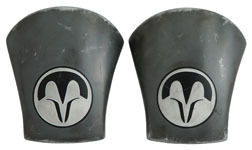 Available as low-tack vinyl stencil mask kit which consist of TWO shoulder bells [two-parts each], or decals for your car or armor bin. 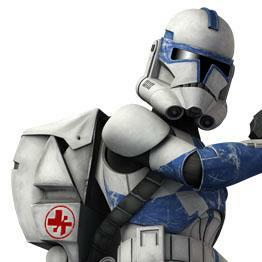 Hound was an ARF trooper sergeant within the Coruscant Guard who served during the Clone Wars. Stationed at a military base on Coruscant, he had a pet massiff named Grizzer. 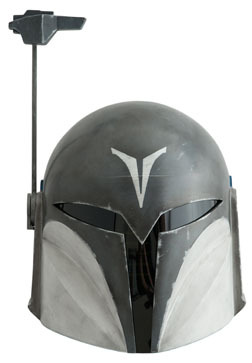 Wiley serves in the Grand Army of the Republic as a member of the Wolfpack squad. Wiley performs AT-RT patrols, while on a Republic relief mission to aid the inhabitants of the planet Aleen. 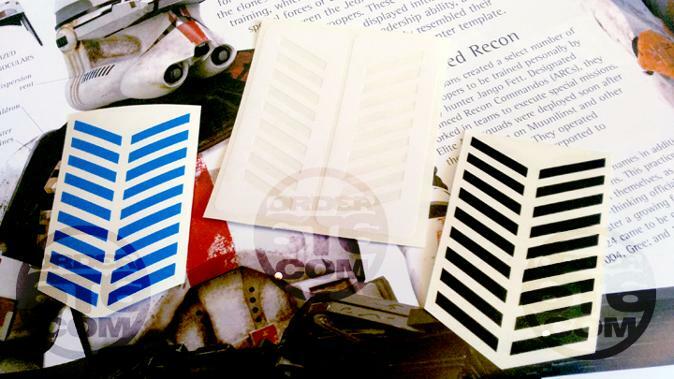 Available as low-tack vinyl stencil mask kit which consist of TWO helmet visor stencils, TWO triangle stencils; or red decals. 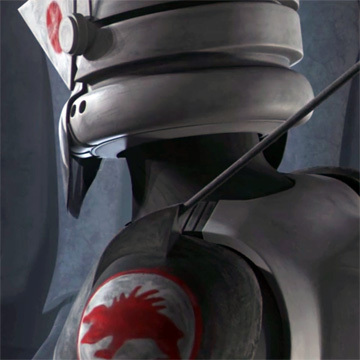 The Nite Owls, later known as the Mandalorian rebels, Mandalore Resistance, and during the Mandalorian civil war as the Death Watch loyalists, were an elite Mandalorian unit within the Death Watch led by Bo-Katan Kryze, lieutenant to Death Watch leader Pre Vizsla. 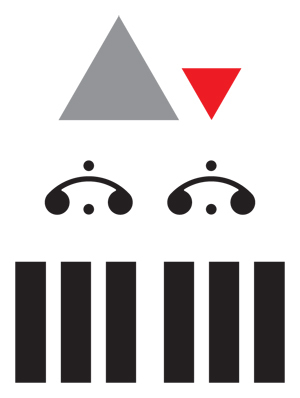 Kit is made of low-tack vinyl stencil masks which consists of TWO shoulder stencils [two-parts each]; ONE helmet symbol mask.